In late March, our maintenance team responded to a concern about sagging pavement on State Route 505 in downtown Winlock. What appeared to be a minor issue turned out to be the visible sign of a larger problem: a damaged culvert. The sagging pavement quickly opened into a 15-foot deep sinkhole that closed the highway for the next three weeks. Here’s the thing with emergent situations like the sinkhole: the things we don’t know tend to greatly outnumber the things we do. If you’re acquainted with many engineers, you know they like to plan. They like figures and formulas, details and measurements. They don’t like to guess. So you can only imagine how they feel when faced with a problem that has more questions than answers. The good news is – we have some of the best engineers in the field, and they always step up to the plate and deliver solutions and results. After coordinating closely with the City of Winlock and local elected officials to determine a plan of action, the engineering team from our Kelso office set out with contractor Tapani Underground Inc. to inspect the broken culvert. Fortunately, inspection work yielded the answers needed to undertake repairs. 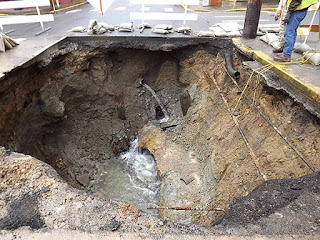 Twenty four feet of the century-old concrete pipe had cracked, and leaking water had eroded the surrounding dirt and undermined the highway. Crews worked diligently to remove the damaged pipe and replace it with a new concrete box culvert. The repair work, like everything we do, was a group effort. At one point, our contractor’s saw malfunctioned while they were in the process of removing the old culvert. The Winlock Public Works department stepped in without hesitation and lent a saw to the crew, which allowed work to continue without delay. Our contractor also went the extra mile to make sure the repairs moved forward as quickly as possible. Tapani Underground Inc. called around and located an off-the shelf culvert that was ready for installation. Rather than waiting for a replacement culvert to be made from scratch, they were able to install the precast culvert and accelerate repairs by a week. Crews repaved SR 505 and opened the road to drivers on Friday, April 20. From start to finish, the project illustrated that teamwork and initiative are essential when responding to unexpected issues that are bound to crop up along the thousands of miles in the state highway system. We’re proud to be part of the network of people, agencies and companies that are dedicated to keeping Washington drivers moving. It’s full of twists and turns, explosive detail and it’s only a click away. It’s the 2012 Construction Video for the I-90 Snoqualmie Pass East project and it’s debuting on our YouTube channel. Critics are calling it fascinating, compelling to watch and clever. Construction is underway in a number of locations on I-90 and you don’t want to be left behind in the back-ups. Check out the video now so you can plan your summer trip and avoid construction delays. Plus learn a little background on the I-90 Snoqualmie Project to find out why we are improving this five-mile section of roadway and making other improvements along the corridor. Find out more at our what’s happening on I-90 website and our I-90 Snoqualmie Pass East Project page and the Lake Easton to Big Creek Project. For the State Route 104 Hood Canal Bridge, wind, waves and tide changes are just part of the daily grind. But after 30 years this grind is wearing out more than its welcome, it’s also taking a toll on key components on the bridge’s west-half draw span pontoon. Depressions are forming in the 1.5-inch thick steel plates that run the length of the draw span, making it increasingly difficult to open the west half of the bridge. The steel plates protect the pontoon’s concrete from 4-foot wide rollers which guide the floating bridge’s 900-foot-long draw span as it opens and closes. The west span is in the closed position a vast majority of time, allowing traffic to flow across the bridge between Kitsap and Jefferson counties. But the cars and trucks on the roadway aren’t the only things moving during these extended periods. As the floating bridge shifts due to tidal changes and other conditions on the canal, the rollers and the plates constantly rub together. They’re both steel, mind you, but even the toughest materials bend to the whims of Mother Nature and Father Time. The steel plates are doing their job and preserving the concrete pontoon, but now they’re worn down and the west draw span isn’t moving the way it should. The depressions are creating a situation not unlike starting a car and driving it out of a rut. It’ll go, but takes a little more gas to get rolling. In the draw span’s case, crews must ramp up the rpms on huge engines to get it moving. While this works as a short-term solution, the engines are not designed to run at these higher levels for long. Instead of risking burning out this expensive equipment, our crews are taking aim at a relatively low-cost solution. Maintenance crews will grind and weld the 32 depressed areas in the steel plates. 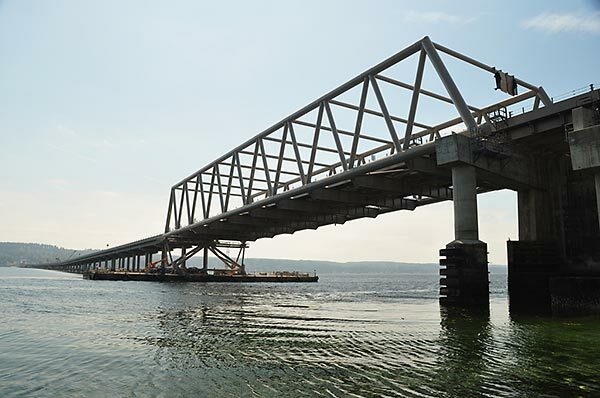 To complete the weather-dependent work, crews must open the west-half draw span, closing the bridge to drivers for a minimum of four nights, beginning Monday, May 7. Closures are scheduled from 8:45 to 10:45 p.m., 11 p.m. to 1 a.m., and 1:15 to 3:45 a.m., which will allow traffic to flush through from both sides and help drivers avoid the only other viable travel alternative to and from the Olympic Peninsula during the nighttime hours – a 130-mile detour down US 101. A few days back, I wrote about mystery shopping as a potential income generating freelance task that one would be interested to join. I never mentioned at that time regarding the mystery shopping site I registered into. Well, for the information of everyone, there are several mystery shopping sites that you might like to try. 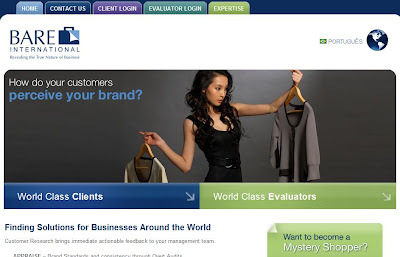 They are everywhere and they give mystery shoppers some tasks to shop or just survey regarding a specific company. Anyway, the only mystery shopping site that I joined in is Bare International Inc. This site was established in 1987 in Virginia. At that time, there were only limited mystery shop companies. I joined Bare International site just last year. At first, I was really excited and signed up immediately as a mystery shopper. However, my excitement was only short-lived when I read several negative feedback about this site such as not making payments to their members once they finished their assigned tasks. Well, it would be alright to get rejected with a certain task but once it involves some money, it is another story. You see, there are some assigned tasks that you really have to purchase and use your personal money. Later on, once you submitted your report to the company regarding the shop there is a tendency that they might disapprove your report. In the end, you will not get paid and get a refund of your purchases which is really disheartening. As for my personal experience with this mystery shop site, I receive email notifications from them from time to time whenever there are available tasks close to my area. Most of the tasks need to shell out extra cash. I never tried to do any of these tasks since I am hesitant that I may not get a refund in return which actually happened to my friend. Another thing, I do not have enough time to do the assigned tasks during my office hours. Usually the tasks they assigned need to be done during office hours. So, there you go, I cannot really simply say that Bare International Inc. is a fraud or a legitimate site. There may be a few individuals who were unfortunate for not getting paid for their tasks. Still, there are some individuals who are happy to share about their wonderful experiences with this company. I guess if you got extra time, you love to explore around different shops, and got keen eyes on important details, then mystery shopping would be right for you. Remember, the pay may vary depending on your assigned task. Anyway, why don't you tell me your experience regarding any mystery shopping site that you have joined? It would be great to share your ideas. It’s the end of an era in Marysville. On Friday, April 13, the 87-year-old Ebey Slough bridge on State Route 529 will retire from service, making way for a new wider, four-lane bridge being built beside it. Crews will fully close both directions of the highway for the weekend while they prepare to switch traffic to the new bridge. 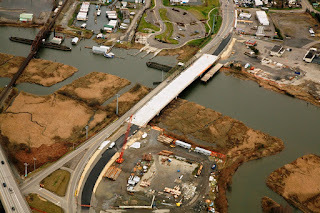 Only half of the bridge will open to traffic on Monday, April 16, with both north and southbound SR 529 traffic running in the future northbound lanes of the new bridge. Next, crews will shift their focus to dismantling the old bridge. They’ll position cranes on the closed west half of the new bridge to remove pieces of the old bridge. Demolishing a bridge over water is a challenge, especially when it’s as old as the Ebey Slough bridge. Crews will be dealing with steel pieces covered in lead paint and other potentially hazardous materials. They’ll work carefully and deliberately to protect themselves and the slough during the demolition. There are only two state-owned movable bridges that are older than the Ebey Slough bridge, which opened to traffic in 1927. The old bridge is at the end of its service life and can’t meet today’s traffic demands. SR 529 is a main commuter route between Marysville and Everett and is used by about 17,000 drivers each day. The new four-lane, fixed-span bridge will fully open to traffic in January 2013, with two lanes in each direction, separate bicycle lanes and sidewalks on each side of the bridge. By the way, I bet you’re wondering which three stated-owned bridges are older than the Ebey Slough bridge. Well, they are the Murray Morgan and Thea Foss Waterway bridges in Tacoma, built in 1911, and the I-5 Columbia River bridge built in 1916.
this envelope with a notice of civil penalty. This week we started a new toll enforcement program to help collect tolls from drivers who crossed the SR 520 and Tacoma Narrows bridges and have not yet paid their toll bill. Previously, Tacoma Narrows Bridge drivers who didn’t pay at the toll booths or have a Good To Go! account were sent a $52 ticket. Now, drivers have 80 days to pay the toll before receiving a notice of civil penalty. If you want to dispute a penalty, you will find a more customer friendly dispute-resolution process – and more revenue goes back to the bridges. Under the old process, only $12 of the $52 infraction went back to the Tacoma Narrows Bridge. The new program allows us to put collected tolls, fees and penalties back into paying for each bridge. What is a notice of civil penalty? A civil penalty includes more than just the toll. After 80 days, owners of registered vehicles must pay the toll, a $40 penalty and any additional fees. Let’s say you crossed the SR 520 bridge during the peak commute time without a Good To Go! account. We’ll mail a bill to the driver within 14 days. Those who don’t pay within 15 days get a second bill with a $5 reprocessing fee. The longer you wait, the costlier it gets. Drivers with unpaid tolls receive a notice of civil penalty and a $40 fine in addition to the late fee for each toll left unpaid after 80 days. What should I do if receive a civil penalty? Similar to a parking ticket, you shouldn’t ignore your penalty. 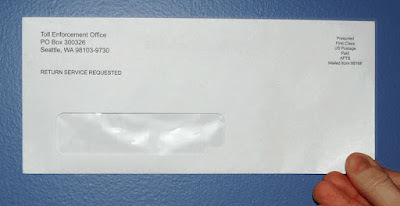 If you receive a notice you have two options: pay or dispute. If you don’t believe you’re responsible for the penalty you can dispute in writing or request a hearing. Hearings will take place at a public court in Fife or at the Good To Go! customer service center off I-5 in north Seattle. Unlike traffic court, toll enforcement judges are unable to reduce penalty amounts. They can only make a judgment on whether the vehicle owner is responsible for the tolls or not. Watch our video on YouTube to learn more about the dispute process. 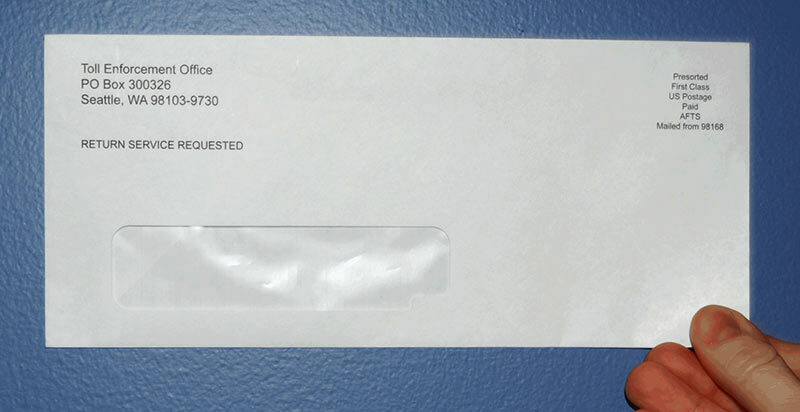 Keep your eyes open for a toll bill in the mail about 14 days after using a tolled bridge. Make sure to pay your first toll bill within 15 days of receiving it. Double-check your info with the Department of Licensing to confirm your address is current since tolls bills are sent to the registered vehicle owner. You can choose not to receive a toll bill in the mail by signing up for a Good To Go! account. No bill plus you’ll get the lowest toll rate. As always, please call us at 1-866-936-8246 if you have questions about toll charges. We’re here to help. April Fool’s Day marked the launch of a AAA Foundation effort to correct myths and misperceptions about traffic safety. First, we tackled the notion – too commonly held – that people riding in the back seat of a passenger vehicle don’t need to use their seatbelts. This week, we confront another myth: that older drivers pose an undue threat to the motoring public. Well, it’s simply not true. As anybody with an aging loved one doubtlessly knows, the issue of older driver safety and mobility is a difficult one, and can be fraught with tension, fear, and stress. As people age, they do often experience declines in certain abilities that are important for driving, and some high-profile crashes have captured media attention and contributed to the notion that seniors pose a menacing threat on the roadway. In fact, teenagers have the highest crash rates of any age group (on average four times higher than those of others). Drivers in their 70s have crash rates that are nearly identical to those of drivers in their 30s, and drivers in their mid-late 80s have lower crash rates than those of drivers in their 20s. The picture does get a bit more complicated when talking about fatal crashes, however, as it is true that drivers 85 and older have the highest rates in this area. Why is this the case? It’s because older drivers themselves are more likely to die if they get into a crash, not that they are more likely to get in a crash in the first place. Fragility – which makes surviving a crash more difficult – is the critical factor here. This clarification is important for two main reasons. First, it points to occupant protection as an important countermeasure for older drivers that can mitigate the severity of crashes. Safer cars, forgiving roadway environments, efficient emergency response, and other strategies can be particularly important for older driver safety. Second, it helps dispel the notion that older drivers aren’t fit for the road, and redirects our attention to more productive efforts to keep seniors safe and mobile for as long as possible. Older drivers are among the most responsible on the road, taking proactive steps to mitigate risk and limit driving to favorable conditions. Our full coverage of this myth is available here. And, as we mentioned on April Fool’s Day, we want to hear from you with any myths you’d like to see put to the test! Write to us at info@traffic-payout.org, or contact us on Facebook or Twitter. We’ll publish our findings as we dispel, or confirm, the myths submitted. 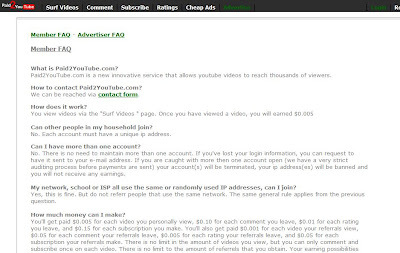 Paid2YouTube.com is an interesting service site that features several youtube videos to reach the viewers. You are paid every time you watch youtube videos, leave comments, subscribe to the video and give some ratings. It is quite an easy task and you can just spend an hour a day during your free time. If you want to promote your own videos on youtube and get more viewers, comments and subscriptions, you can also join this site. There is an advertisement fee that you need to pay. You go to Paid2YouTube webpage, sign up to become a member. Once you finished the registration, you can start working immediately. You can view the videos on the Surf Videos Page. You can also comment, subscribe and rate. Anybody can apply as long as you have a valid PayPal account. Only one person can join in your household. The system checks your IP address. In addition, only one log-in account is permitted. Otherwise, your account will be terminated and ban from using Paid2YouTube. 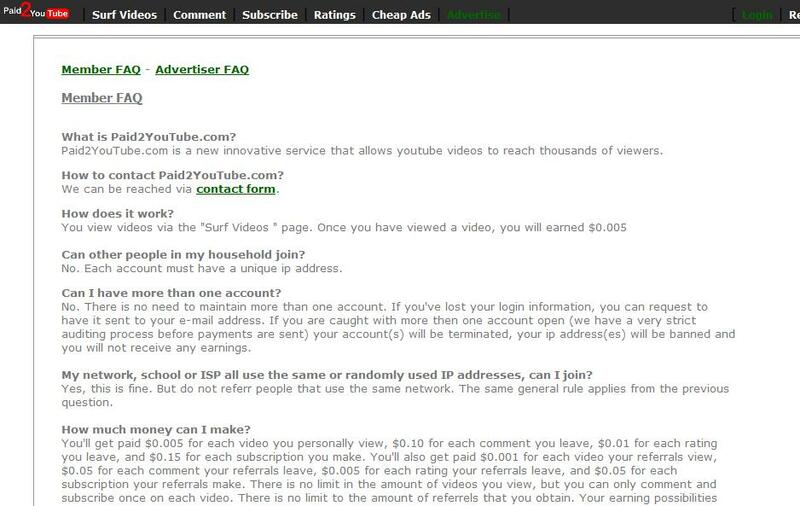 For every video that you view, you can earn $0.005. For posting a comment, you will earn $0.10. For your subscription, you get to earn $0.15 and for each rating, you will earn $0.10. So, the more tasks you do, the more cash you will earn. You can also earn additional income through their referral scheme. Payment is through your PayPal account. You can request to cash out once you reached the minimum amount of $10.00. Payment is processed within 30 business days. I joined this site like three months ago. I am not really an active member. I need around five dollars more to cash out my earnings. One should be an active member on this site so your account will not be deactivated. You can check the Paid2YouTube.com for more information. If you haven't had a chance to visit Milepost 31 in Seattle’s Pioneer Square yet, you’re in luck. The Seattle Channel recently visited and put together a short segment about what you can learn there – everything from the history of the Pioneer Square neighborhood to the state-of-the-art technology that will be used to bore the SR 99 Tunnel Project. on eastbound I-90, traffic will be detoured around the workzone. Spring is in the air and summer is right around the corner. 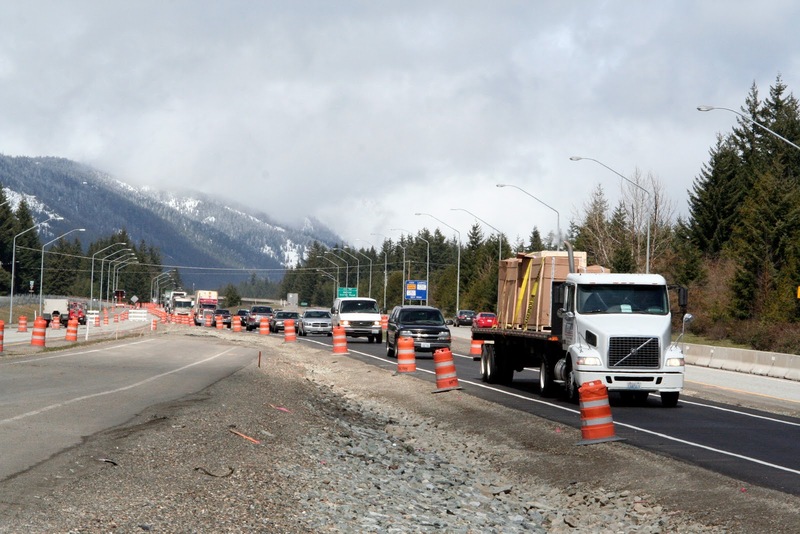 It’s time to start dusting off the camping, hiking, or boating equipment and switch gears from winter to summer travel – and construction is back on I-90 east of Snoqualmie Pass. 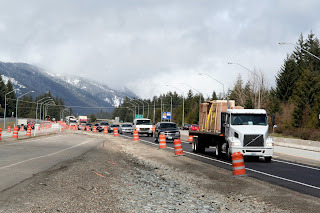 Early this month, crews resumed work on a $19.3 million project to replace deteriorating sections of concrete roadway and asphalt shoulders in both directions of I-90 between Easton and Cle Elum. During construction drivers can expect daytime lane restrictions before Memorial Day and after Labor Day. To reduce delays for summer travelers, crews will only close lanes at night from June to early September. Work should be complete this fall. Starting later this spring, crews will also resume work on the $551 million project that builds a wider and more reliable stretch of I-90 from Hyak to Keechelus Dam. As part of this five-mile project, crews will continue rock blasting along the slopes east of Snoqualmie Pass. Drivers should plan for hour-long closures that will start an hour before sunset. Ultimately, the work will allow crews to widen the highway from four to six lanes. This project is funded by the 2005 gas tax and will be complete in 2017. Over the next six years, crews will build a new six-lane highway, replace the snowshed just east of Snoqualmie Pass with a new structure to reduce avalanche closures, replace and add bridges and culverts, stabilize rock slopes, and extend chain-up/off areas. Visit the Snoqualimie Mountain Pass Web Page to view the traffic-flow map for real-time travel information. Check the What’s Happening on I-90 Web page or Traffic Web page for region-wide updates. Tune into the Highway Advisory Radio at 1610 AM and 530 AM while on the road. 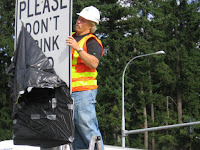 Follow WSDOT on Twitter @SnoqualmiePass. Add the WSDOT app to your smartphone. Our traffic cameras have kind of been hot news in recent months. We’ve brought many new cameras online along I-5 in Tacoma and Everett, and announced many more will go live later this year near Bellingham. While it’s exciting news in many respects, we’ve also received a fair amount of criticism. People wonder where we’re getting the money for all these cameras, and want to know how we can justify spending it this way during such hard economic times. The most basic and simple response to part about where the money comes from is that there are state and federal gas taxes that generate revenue every day specifically for transportation improvements. But that’s probably not answer you’re looking for. The real story is a little more complicated. If we step back for a moment and take a big-picture look at our highway improvements, we have to realize that we can’t build our way out of congestion. It’s just not financially feasible on a number of fronts. It’s unaffordable from a real estate perspective, environmental perspective, construction perspective, and even a long-term maintenance perspective - especially when our budget is declining just like everyone else’s. Knowing that we can’t afford to build our way out of congestion, we have to ask ourselves, “What can we do to make better use of the existing roads and lanes we already have?” One of the strategies we believe that has some serious merit is making better use of information technology. That’s where the cameras come in. These cameras are vital to us, to the State Patrol troopers who respond to collisions, and to the traffic reporters who report what’s happening on the roads every day. They give our maintenance crews, fire departments and law enforcement personnel the tools they need to respond to incidents as quickly and efficiently as possible. We can better coordinate our response and get the roadway open faster. The cameras also keep drivers informed so they can avoid delays. Drivers can check the cameras and travel times to get a much clearer picture of how I-5 is looking before they leave their homes or offices. Traffic cameras are just the tip of the iceberg, too. They’re part of a much greater, more expansive network and plan to bring better, more reliable travel information to drivers. Yes, the traffic technology is expensive, but it costs a mere fraction of what we would spend to try and build our way out of congestion. Traffic cameras are just one way we’re using our existing highway infrastructure more effectively and efficiently. 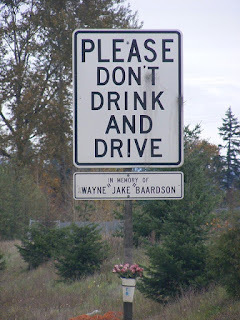 We’ve all seen them - roadside memorials to honor the loss of a loved one. Flowers, pictures, stuffed animals and crosses - public mementos of grief and sadness. It’s hard to look at them and think that someone lost their life at that spot on the roadway. We understand how hard it is to lose a loved one on our highways. We’ve also lost co-workers on our roadways and we know how important a memorial is to honor them and mourn our loss. We also realize (all too well) that the shoulder of a state highway is a very dangerous place to be and placing a memorial on the side of the road is a visual distraction that could cause another heartbreaking crash. We have embraced a couple of different approaches to requests for memorials from families and friends of those who have died in highway crashes. To minimize the safety and liability risk to the drivers, we encourage live plantings of wild flowers, trees or shrubs as a permanent “living” memorial. Temporary ground-mounted plaques are another option. 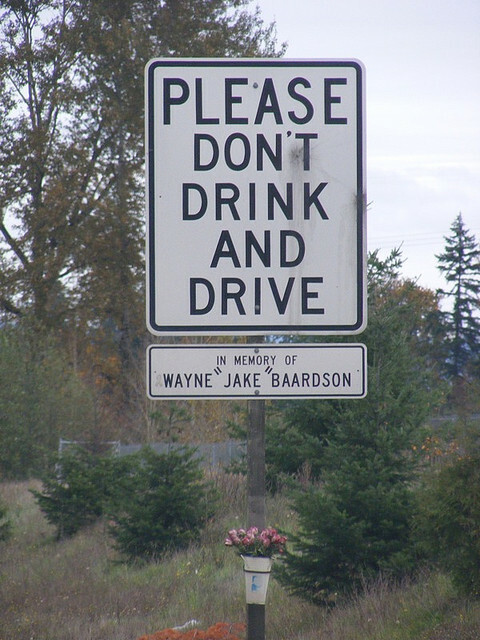 To memorialize victims of collisions caused by drunk driving, the DUI Memorial Sign Program was created to place signs along the roadways bearing the victim’s name and the words "Please Don't Drink And Drive". 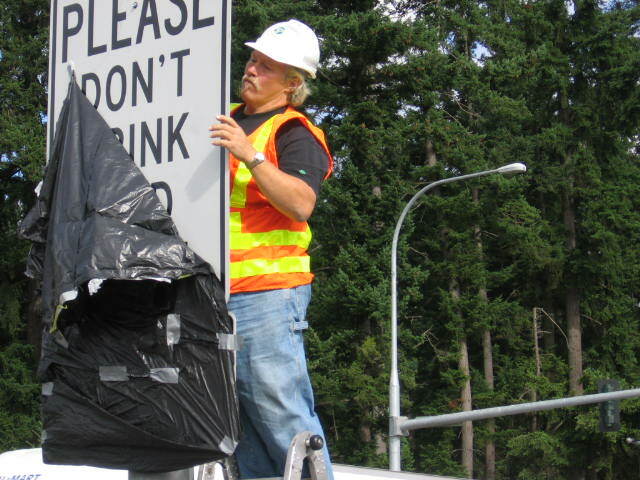 Along non-interstate highways, we place the signs near the scene of the collision. For the Interstate system, we can install one sign along the on ramp nearest to the collision scene. We embraced this program as a way to join together with citizens of this state in the ongoing efforts to combat driving under the influence. We know what it’s like to lose a loved one on our highways and how hard it is to go through the grieving process. We share the pain and loss and want to help in a way that makes our highways safe for everyone.